Hi everyone! I live in Colorado and have a key lime plant in a container. I'd really appreciate some input from people. I've asked stuff on another forum and the advice I got was ridiculously unhelpful, so I kept going doing my own research, but I was excited to find this place. If anyone has anything helpful, I would really, really appreciate it (if you're going to tell me I can't pot my container plant with a shovel full of soil from my backyard, please don't bother). The basic story is this: I have a key lime plant, a few months ago, there was about a 2 week stretch of time when I didn't water it (I just forgot one weekend. :-/ ), a little while later, it started looking really sick, even after I watered it thoroughly. Watered it thoroughly again a few days later (probably about a week), and it was still looking sick. Fertilized it, all the leaves dropped, and the branches started dying back, fast. Looked around a LOT online, decided it was probably a mineral (especially zinc) deficiency, got some chelated iron/zinc/copper/magnesium and have been watering it with that since, and spraying it on its branches etcetera. When I did that, the branch dieback slowed dramatically, immediately. I even started getting some new growth! 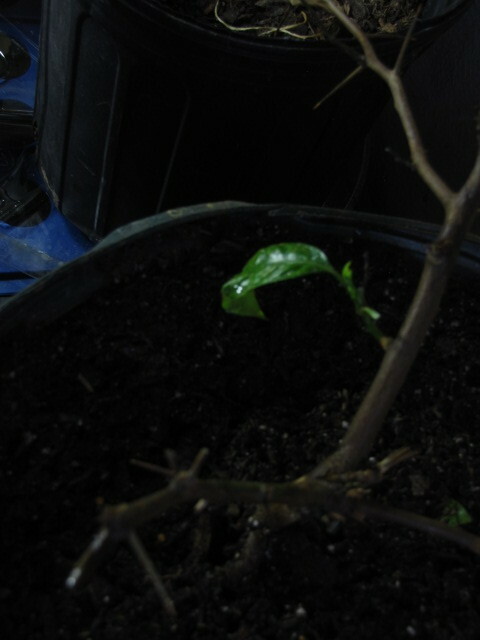 Now, a lot of the new growth started to die as well... :-/ But I did get two healthy looking leaves! And they stayed there until just recently they started to get really wrinkly (not discolored, really, just wrinkled), and yesterday one dropped off. Now there's the beginnings of two new leaves on that same bit of growth. I'd really like to get my plant healthy again, so I'd appreciate any insight or helpful advice on what to do to 1) keep those new leaves there. 2) Try to keep the key lime plant alive long enough to start having some real regrowth of all the stuff that has died back. What size pot, type of soil, amount of sun does it get? Indoor or outdoor? 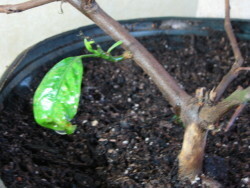 I am just gonna say that I potted a Pepper plant with half clay and it went through a phase like you described. 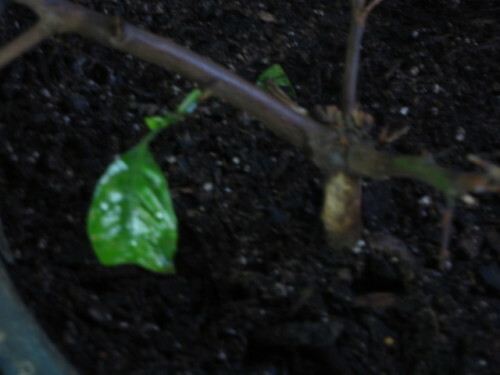 Dropped its leaves, leaves yellowed and curled, some grew back etc. I started adding compost and minerals and it made a comeback sorta. Well hardly worth asking if you are going to tell people what not to say. 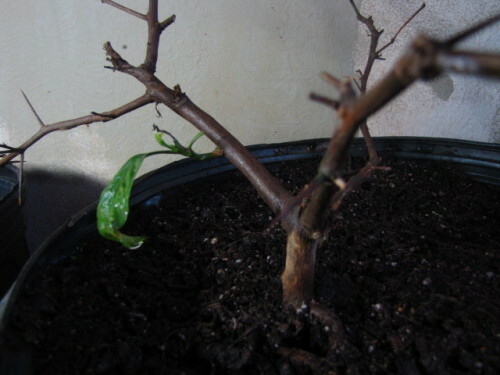 No you really can't grow a tree in a pot with backyard soil. Not nearly good enough drainage, which accounts for most of the problems you are seeing. Backyard soil in a pot packs down and becomes very dense, not aerated, and holding water. But you didn't say anything about how big your tree is or your container. One shovelful of soil isn't very much, but could be enough if it is a baby tree. Is it indoors or out? How much light does it get? Pictures would help. Instructions for posting pictures here are in New to Helpful Gardener? under Tips and Suggestions for New Members. PS Welcome to the Forum!!! ok, well, I just around that time replanted it from a 5 gallon to a 7 gallon container (I'm pretty sure), thinking that, since it's about 4 years old, maybe that was a reason. Actually, no, the roots, while they seemed healthy to me, still fit perfectly within the smaller pot! It was the original one it was planted in! It's definitely indoor (though it gets to be outdoor in the summer), and though it's beside a window on the side of the house where it should get the most sunlight, I have put some full spectrum lights right beside it, to try to make sure it gets adequate light. Compost and minerals? I've been putting some minerals on it but compost might be a good idea. The pictures are a good idea, I'll try to post some later today. (My point with that statement was more that it's not worth answering a question if you're going to be condescending with completely unhelpful information that I'd already addressed in the original post. I never even considered planting my plant in the extremely dense, alkali, clay soil that is around here.). I hope these are good, they're the best of the batch I took. If they're not, I can try to take more.